When I purchased my first Pizza Pizza franchise in 2009, I had already worked for the company for seven years and knew the system was a great fit for me. With established brand recognition and a solid reputation of quality service, I had no doubt my franchise would be a success. Even still, I was thrilled and honoured to win Pizza Pizza’s Franchisee of the Year Award in 2017 and receive recognition for my hard work. I was born in Afghanistan in 1985. When I was 10, my family moved to India. While attending school there, I worked as a salesperson, selling watches. In 2002, we immigrated to Toronto, where I continued my studies. As I had kept busy working when I lived in India, I was eager to land a job and start making an income when I moved to Canada. My brother found work as a driver at a Pizza Pizza restaurant in Toronto’s Weston neighbourhood. Four days after arriving in Canada, I also started working there part-time as a cashier. Because my English was not very good at the time, it took a while to learn the job and practice my language skills. I started working as a part-time cashier at Pizza Pizza four days after arriving in Canada and was soon made manager. 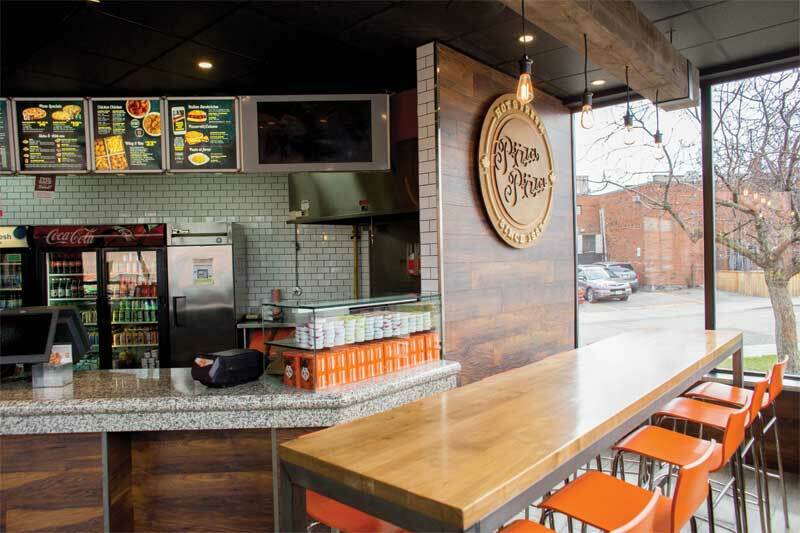 Founded as a Toronto-based delivery chain in 1967, Pizza Pizza prides itself on outstanding service and fresh ingredients. I thought the food was great, and really enjoyed the working environment. Within a year, I was working full-time hours and maintaining great grades in school. I would finish classes at 3 p.m. and then head straight to Pizza Pizza and work a full shift. By the time I finished high school, I was promoted to store manager. In 2007, I started working with Jabbor, who would later become my co-franchisee. He was also born in Afghanistan and had arrived in Canada the previous year. In 2009, after working at Pizza Pizza for seven years, I looked into buying my own franchise. I contacted head office and purchased an existing location at the intersection of Rogers Road and Old Weston Road in Toronto. After finalizing the details of my agreement, I started my formal training at the company’s head office in Toronto. For eight weeks I learned everything about the franchise system, from policies and procedures, to in-store operations, to food preparation and safety. The team from head office helped me get established at my franchise with in-store and kitchen training, too. The support provided by head office has been invaluable to my success. In addition to thorough training, Pizza Pizza is very hands-on in regards to marketing. The system provides its franchisees with all of the tools needed to promote the brand through advertising and social media. Pizza Pizza is also efficient when it comes to enforcing regulations that ensure quality and consistency across its franchises. 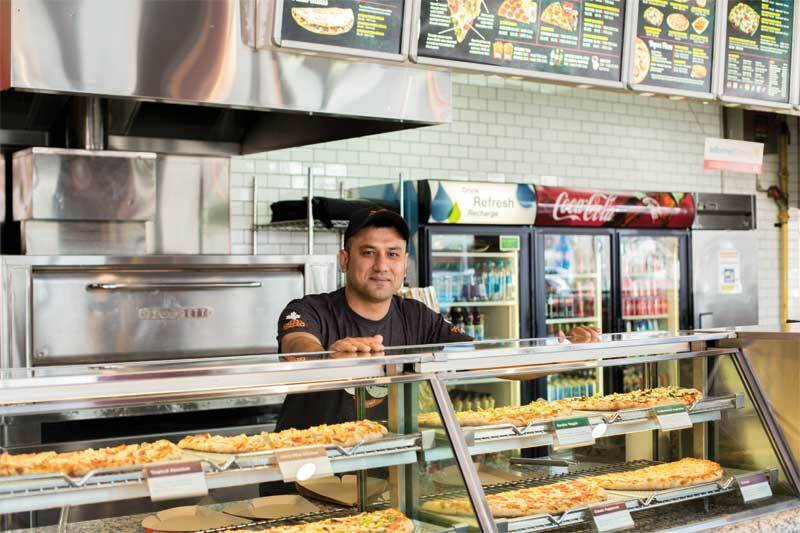 In addition to health inspections mandated through the provincial and municipal governments, Pizza Pizza employs a private company to perform additional inspections of its franchises every six months. These ensure franchisees are not just meeting health and safety expectations, but are exceeding them. Like traditional inspections, these inspectors look at everything from facilities and equipment, to fridge and freezer temperatures, to employee hygiene and food handling practices. The strict regulations make the inspections very hard to ace, but I’m proud to say I have received 100 per cent on my last nine inspections.